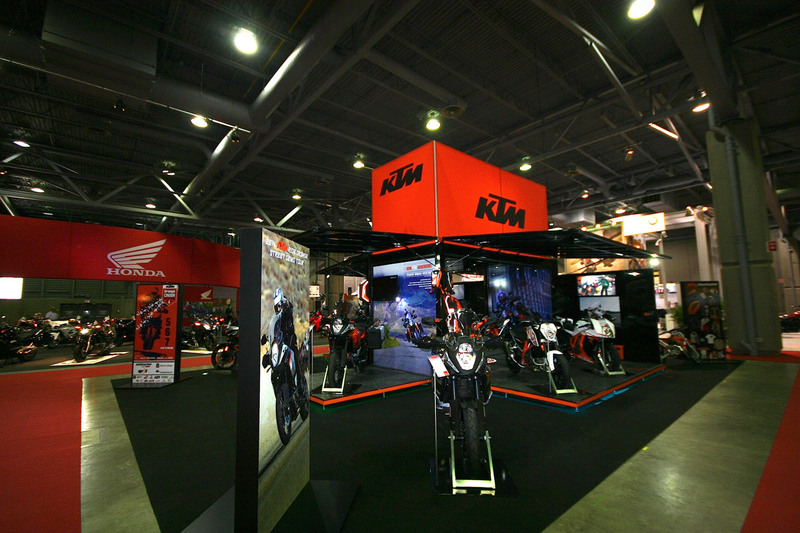 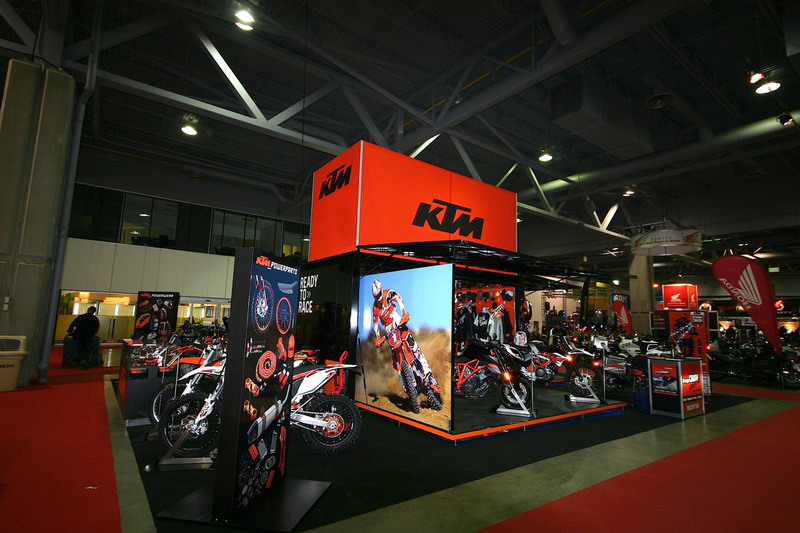 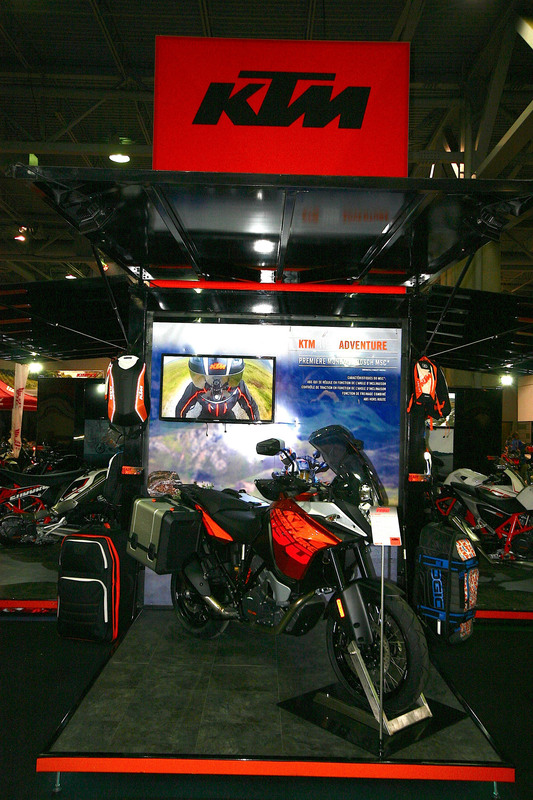 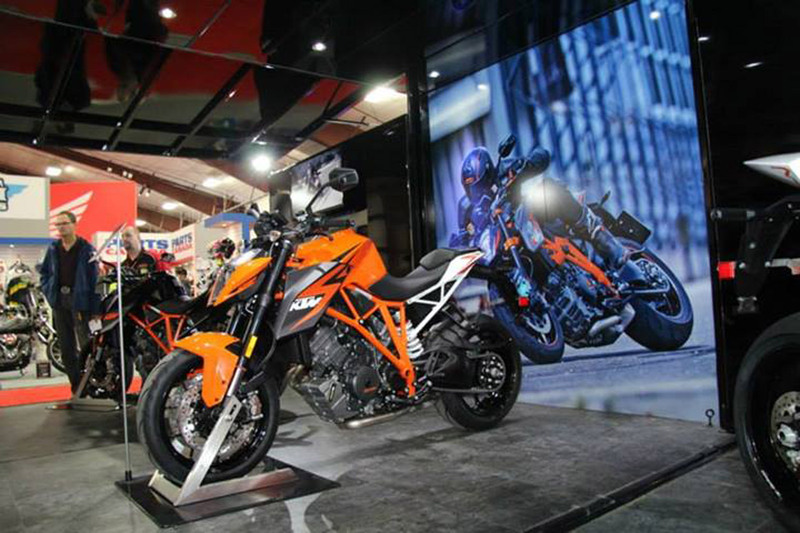 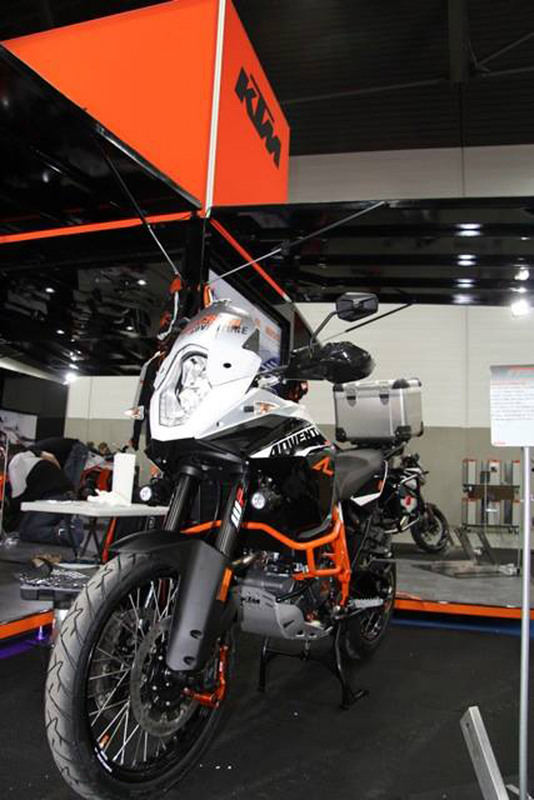 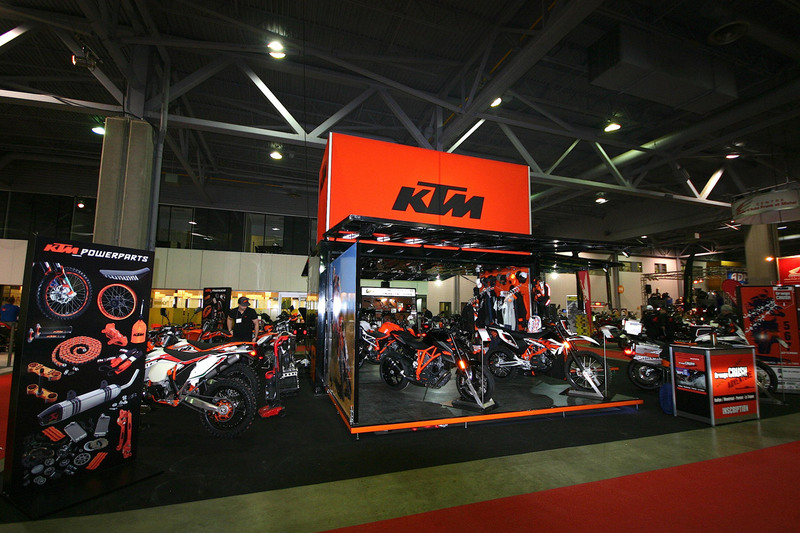 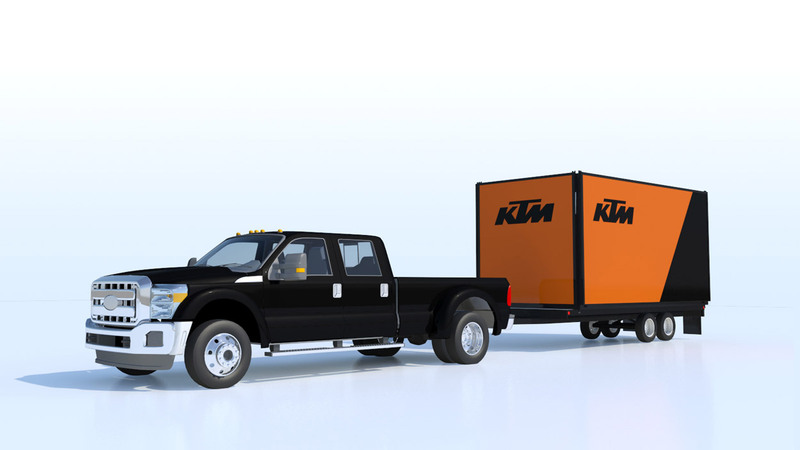 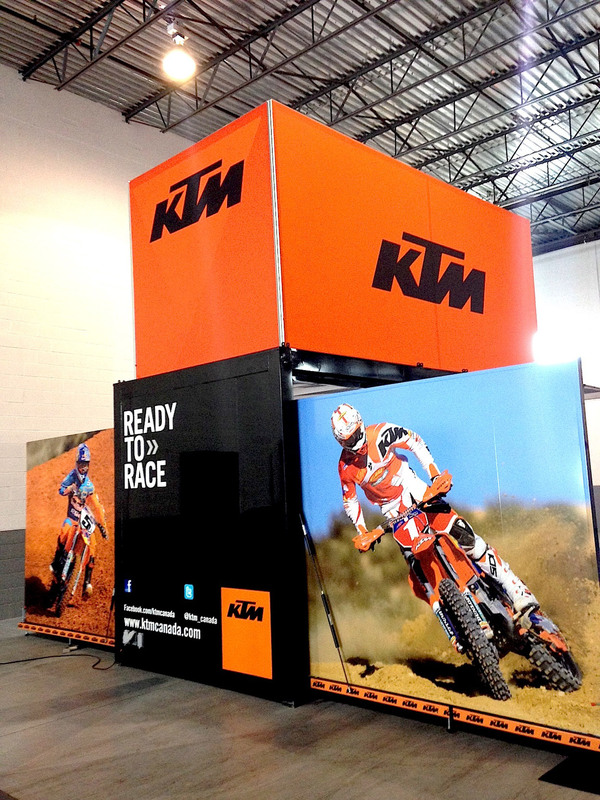 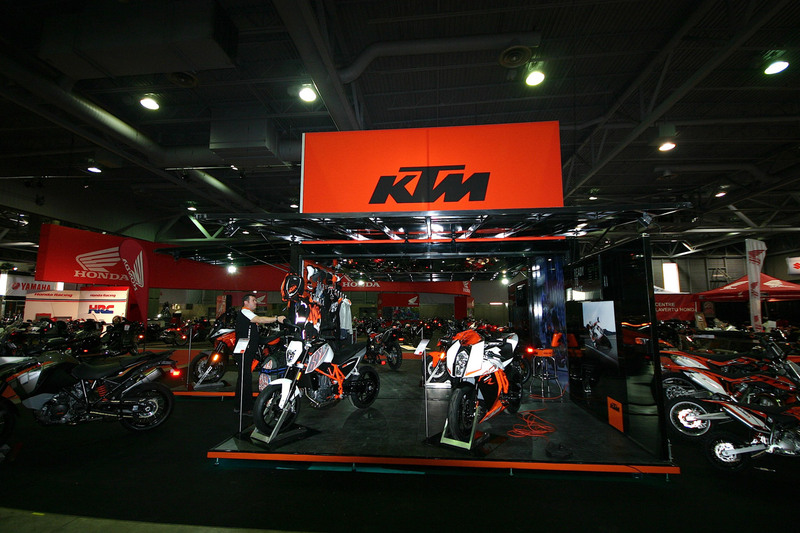 When Austrian motorcycle manufacturer KTM tours the motorsports shows around North America, it relies on the versatility of the Loki Box 16. 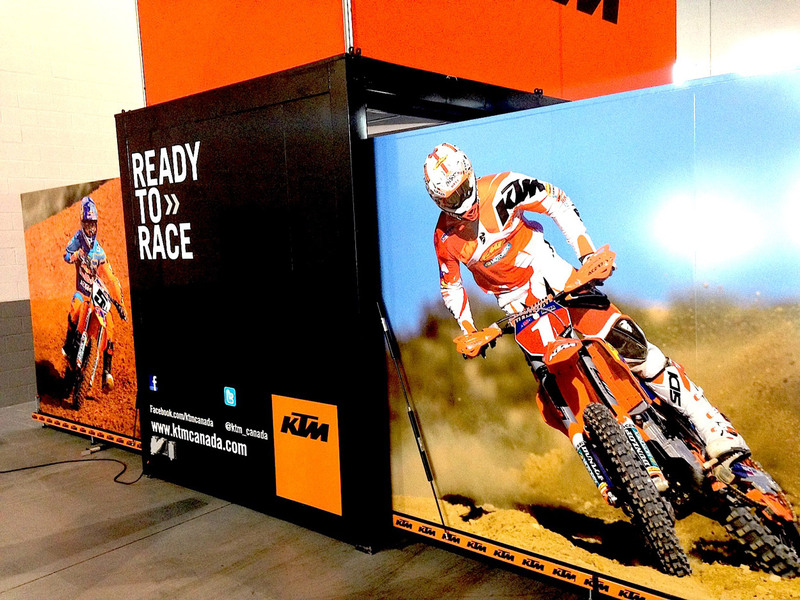 Designed for maximum presentation impact and at home in even the most compact interior settings, the LB16 features ample vertical surfaces for signage, branding and artwork as well as clothing and accessories display. 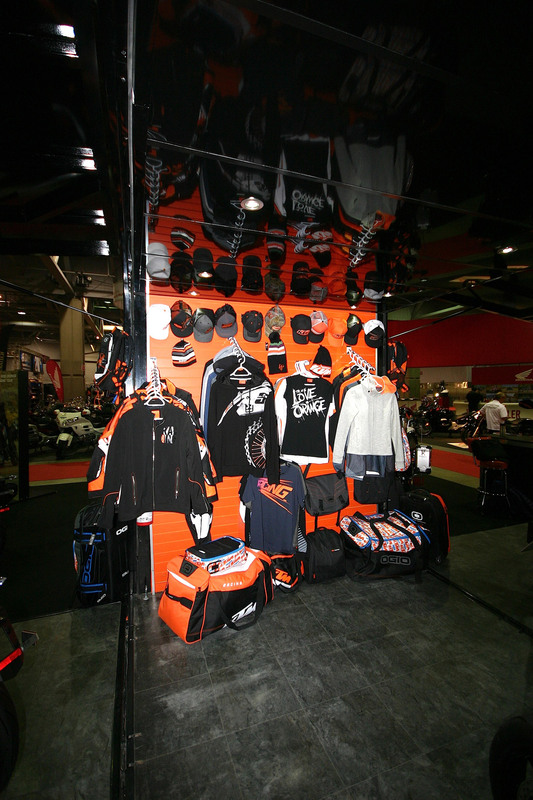 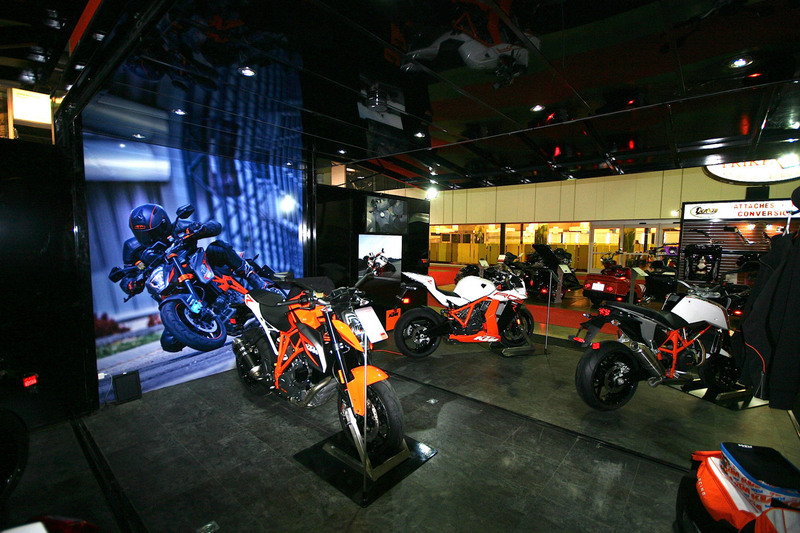 The heart of the unit is the "showroom" floor, providing ample space to showcase a number of its latest motorcycles within and outside the confines of the expanded unit. 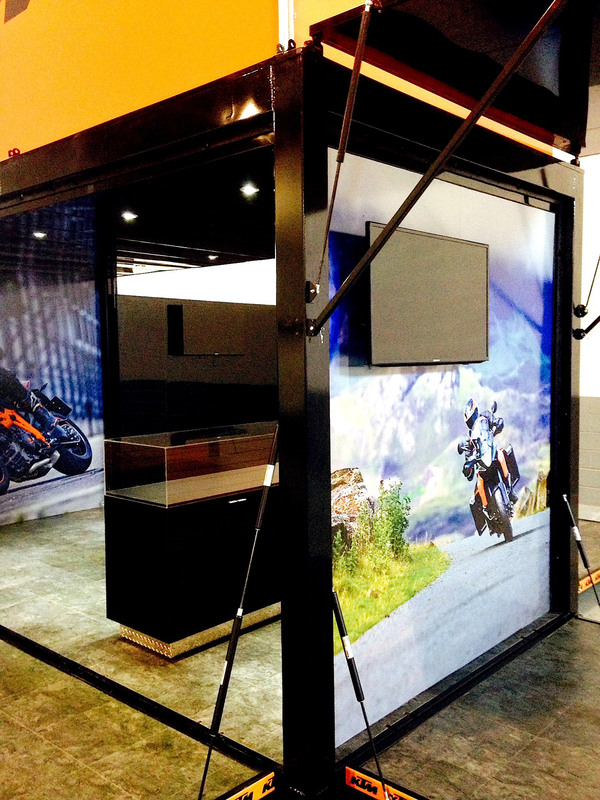 The Loki Box 16 is a compact transformer, with a very manageable 8’ X 16’ transport size opening to a spacious 24’ X 24’ upon deployment. 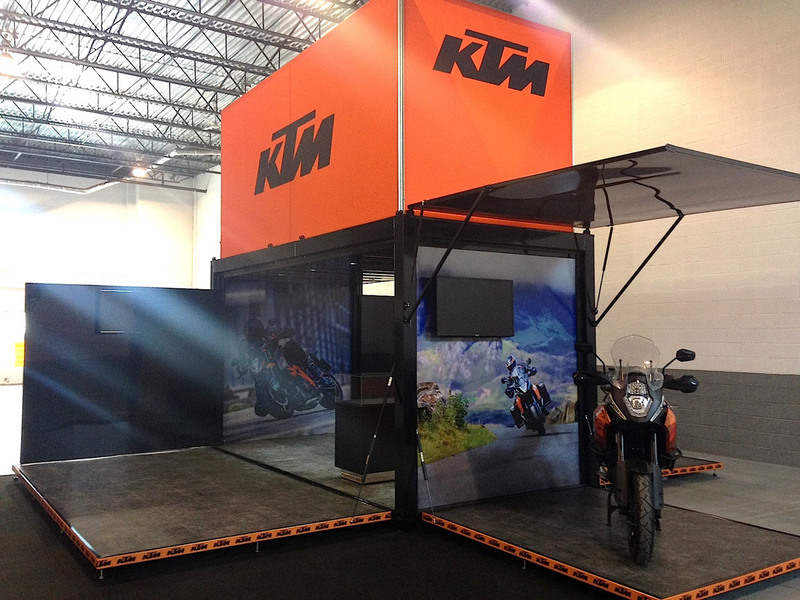 Topped with a high-visibility brand cube and with multiple surfaces available to highlight life-size action photography and vertical video screens, KTM’s LB16 unit captures all the power and energy of its high performance products, clothing and accessories. 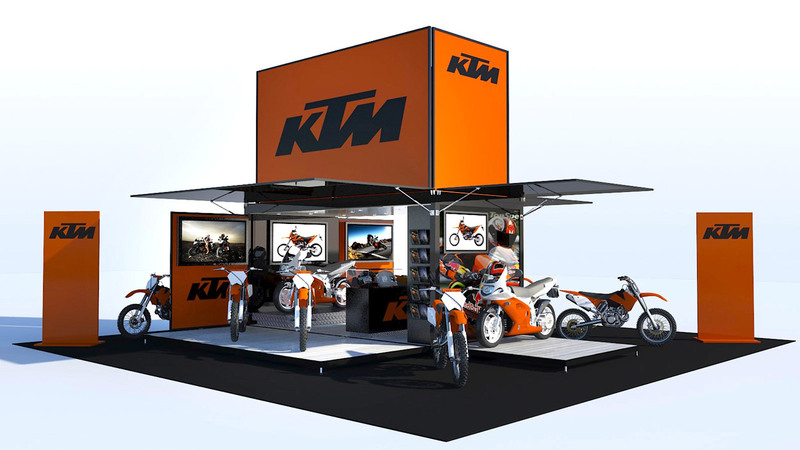 Once closed-up for transport the brand hits the road with full-wrap trailer branding.